Live. Laugh. Love. and EAT in between! Cafe Maria Jerica Once More! You might remember me posting the same image on one of my posts two years ago. So eto na nga, we're here to find out if there's any improvement on their service and food overall. Ayun na nga. Sa kakaisip namin ni jowa kung saan unli unli kami kakain last Saturday, dito kami dinala ng mga utak at paa namin. Di man kami makakain sa unli, at least dun na tayo sa presyong pang masa kahit yung orderin mo eh pangmasisiba. How do you move on from a major heartbreak? How do you move on from a major heartbreak? From the title you may think from getting the heartbreak from your boyfriend/girlfriend, or your crush - this is what most millennials think of. But when you become a parent, a heartbreak is when your little one gets hurt. It's when you can't give them what they want, what they deserve. It's when your little one goes first instead of you going first. It's continuing your life, getting aged, with your little one being forever little because he's already gone. Carlisle has always been a fighter. Upon his born day, to the day that we knew this monster tumor on his brain, until now - he keeps on fighting. This unbelievable strength that he has that even his doctors can't believe helps me keep going and strive harder for him to have a better life. 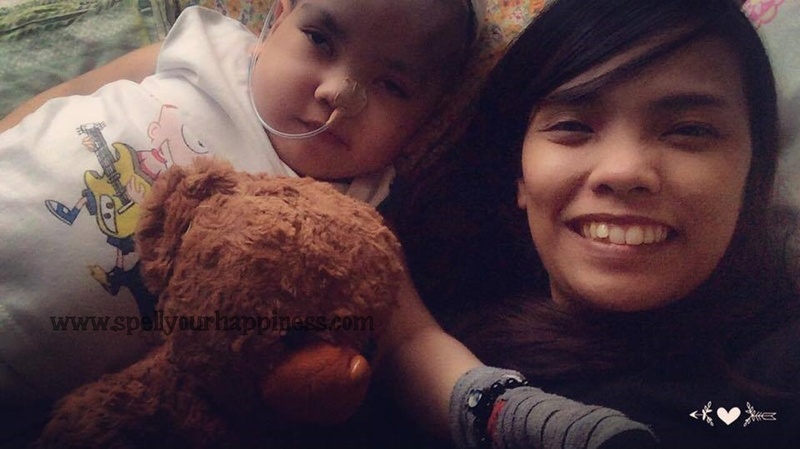 Nth Heartache: When will this stop? "Baka hindi niya kayanin. At least may ginawa tayo. May gawin o wala, it's still the same. Maaaring maagapan, pwedeng hindi." These are the words that keep on haunting me since our meeting with cranio kid's doctors few weeks ago to check the MRI scan result that we had last October. 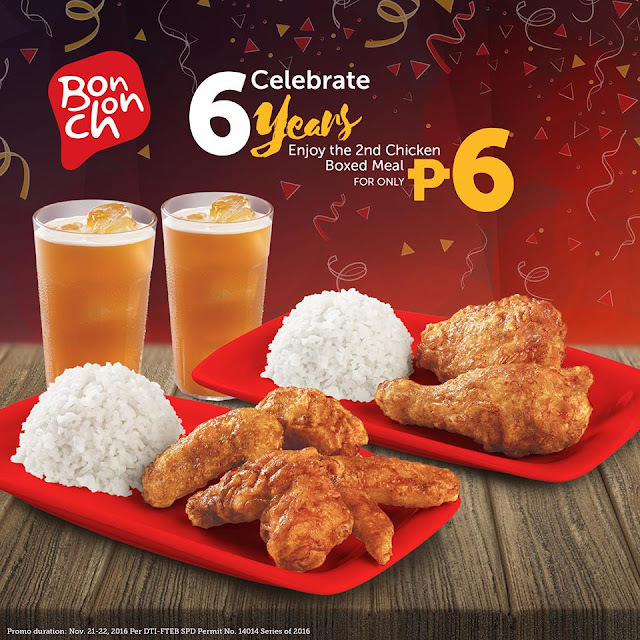 BonChon Chicken Boxed Meal for Php 6?! BonChon Chicken has been one of my favorites eversince it opened. Now on its sixth anniversary, we can enjoy their chicken boxed meals for only Php 6! Awesome treat for a celebration, right? So... how can we get it?